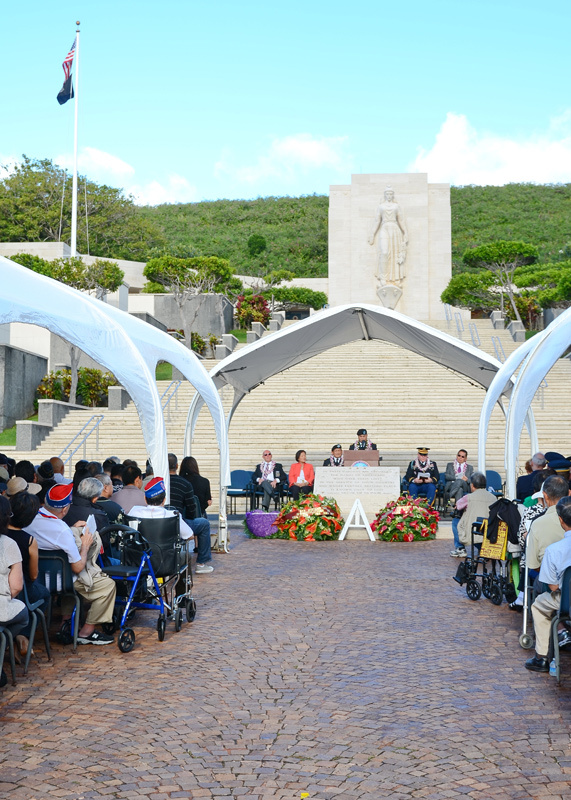 As part of the two day celebration of the Congressional Gold Medal Hawaii Event, service was held on Sunday, December 18, 2011, at the National Memorial Cemetery of the Pacific. 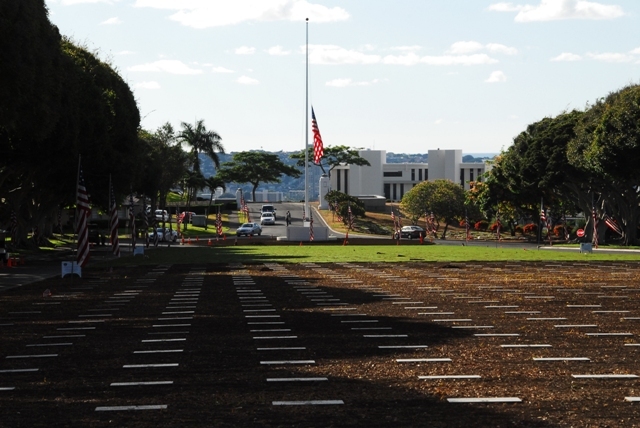 Over 400 attended the ceremony to honor the men of the 100th, 442nd, MIS and 1399th who are no longer with us today. 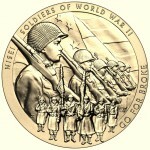 Lt. General (Ret.) Joseph Peterson, former Deputy Commander, FORSCOM was the keynote speaker. 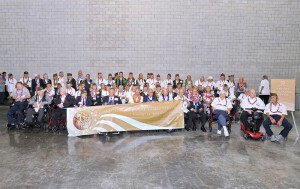 The following photographs of the event were taken by Wayne Iha. 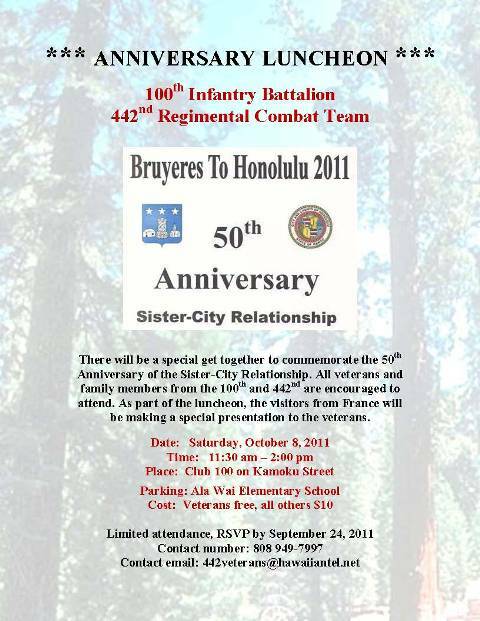 The CGM Hawaii celebration was held on Saturday, December 17, 2011. 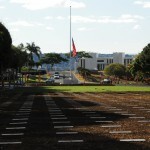 The day began with a military parade through Waikiki and culminated with a grand banquet at the Hawaii Convention Center. 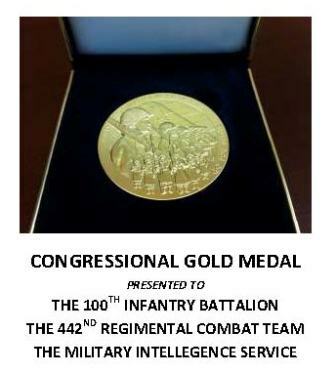 Over 3,000 people attended the luncheon, honoring the veterans of the 100th Infantry Battalion, the 442nd Regimental Combat Team, the Military Intelligence Service and the 1399th Engineer Construction Battalion. The following photos capture the event, compliments of Wayne Iha. 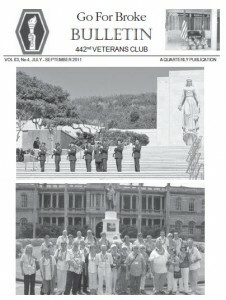 The 442nd Veterans Club held it’s December Board of Directors meeting on Monday, December 5, 2011. 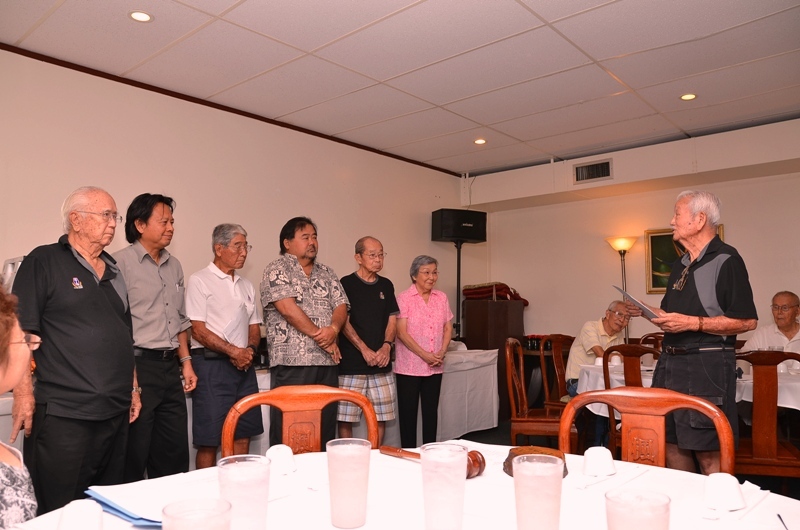 The lunch meeting was held at the Maple Gardens Restaurant in Honolulu. 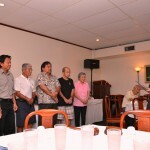 In addition to normal business matters, the meeting also recognized the incoming officers for 2012. President Bill Thompson has elected to step down from his position after five years of superb leardership and representation of the Club. A job well done. Everyone at the luncheon expressed much appreciation for his efforts. 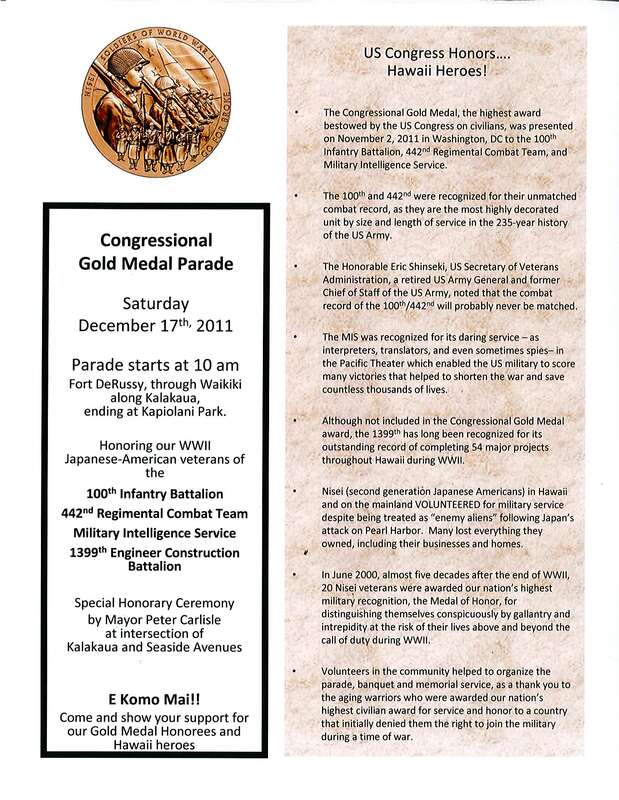 For more information about the Congressional Gold Medal – Hawaii Celebration on December 17 – 18, 2011, please go to the last page (pg.40) of the Bulletin. There is information about the Parade and Banquet Luncheon on the Saturday, December 17th and the Memorial Service on Sunday, December 18th. 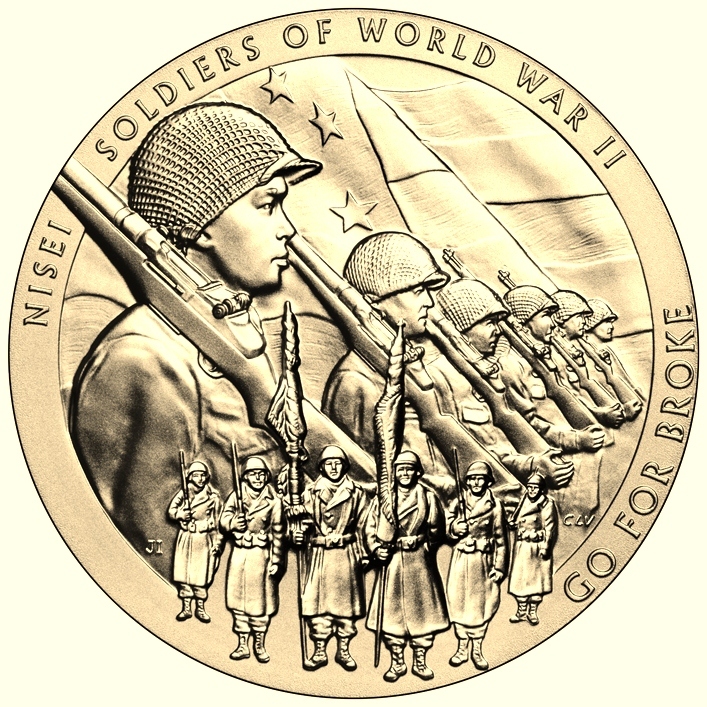 Information on purchasing a bronze replica of the Medal from the U.S. Mint is also provided. 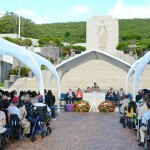 The sixth annual Joint Memorial Service was held on Sunday, September 25, 2011, at the National Memorial Cemetery fo the Pacific. 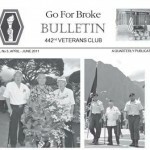 The annual event is sponsored by the AJA Veterans Council. 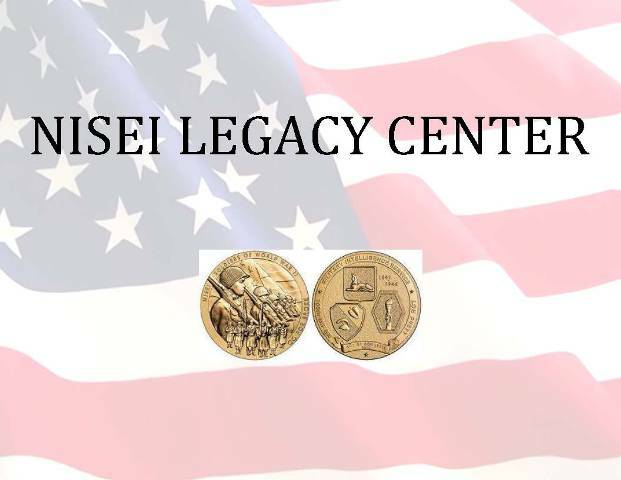 It recognizes and honors all four World War II nisei veteran units: The 100th Infantry Battalion, the 442nd Regimental Combat Team, the Military Intelligence Service and the 1399th Engineer Construction Battalion. The program was highlighted by Lt. Gen. Francis Wiercinski, who gave the memorial address to a crowd of over 400. 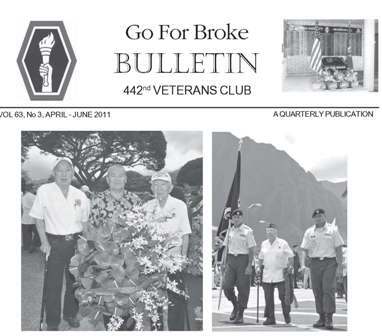 Click below to view photos taken by Wayne Iha, Clyde Sugimoto, Pat Thompson and Gary Saito.